​New country. New culture. New adventure. 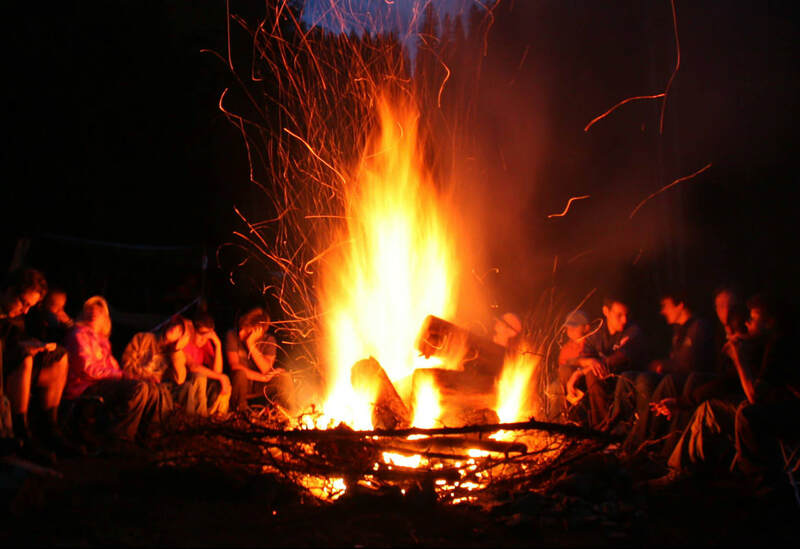 Lag B'omer is celebrated in Israel on the 33rd day of the Omer count, which fell on May 3rd this year. The holiday celebrates the life of Rabbi Shimon bar Yochai, the first teacher of Kabbalah (for more info on Kabbalah, click here: https://kabbalah.com/en/about-us). I had never heard of Lag B'omer before coming to Israel, so it has been fascinating for me to learn about Kabbalah's intersection with Israeli society. -bows and arrows - this is a day for kids to play "bows and arrows," which "symbolizes the power of inwardness — the power unleashed by the mystic soul of Torah" (Tauber, n.d.). Tauber, Y. (n.d.). "The Kabbalah of the Bow and Arrow." Retrieved on 11 May, 2018 from https://www.chabad.org/library/article_cdo/aid/2899/jewish/Kabbalah-of-the-Bow-and-Arrow.htm. "What Is Lag BaOmer?" (n.d.). Retrieved on 11 May, 2018 from https://www.chabad.org/library/article_cdo/aid/679300/jewish/What-Is-Lag-BaOmer.htm. "Activities for Celebrating Lag B'Omer" [Digital Image] (n.d.). Retrieved on 11 May, 2018 from https://jteach.org/project/activities-for-celebrating-lag-bomer/. Fleisher, Y. [NO2BDS Gedaliah Blum]. (2017). "We experience Lag B'Omer festivities in Meron...courtesy of Yishai Fleisher" [video file]. Retrieved from https://www.youtube.com/watch?v=zjYxbTyhhWA. 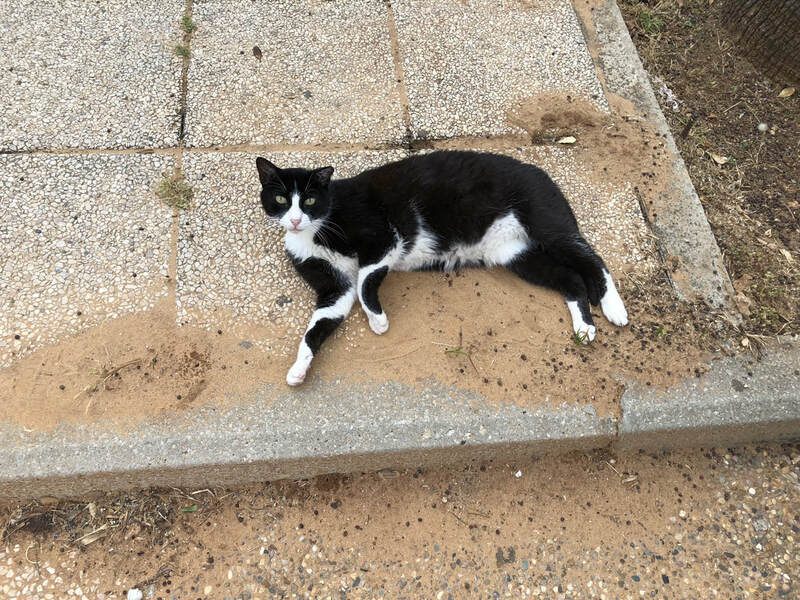 There are many stray cats in Israel, but most are not as mangy as you'd think. It got me thinking, why are there so many cats? 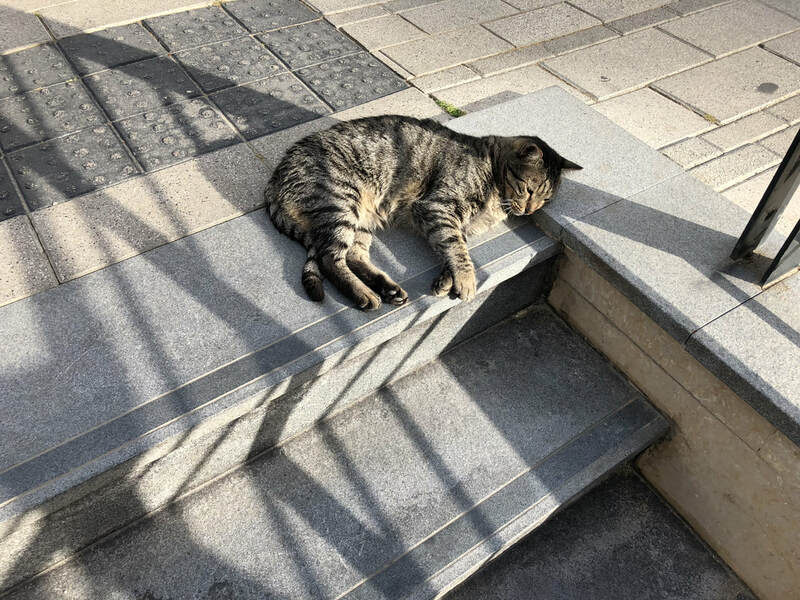 According to Ido Rabin's post on Quora, cats were brought to Israel during the British Mandate, supposedly to take care of the rats. Though more people in Israel own dogs than cats, many of Israel's felines are cared for by strangers. All around Tel Aviv University's campus, you can see cat food on the ground and bowls of water. Israel also has an active animal rights scene. The SPCA has existed in Israel since 1927 and the “animal cruelty prevention law” since 1994. Additionally, the Israeli municipality has a policy of Trap, Neuter, and Return. They mark each neutered/spayed cat with a knick on their ear. 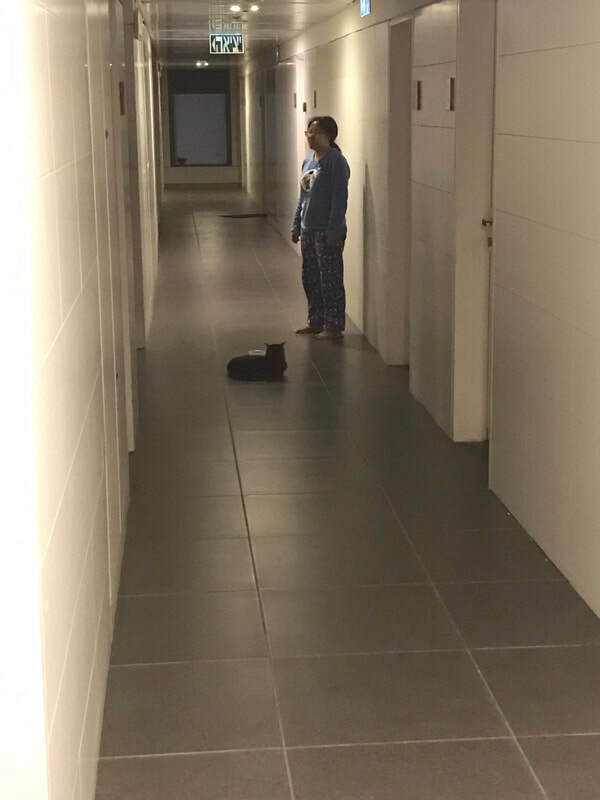 This is the Broshim dorms cat. You'll find her outdoors. And even follow you into your room. 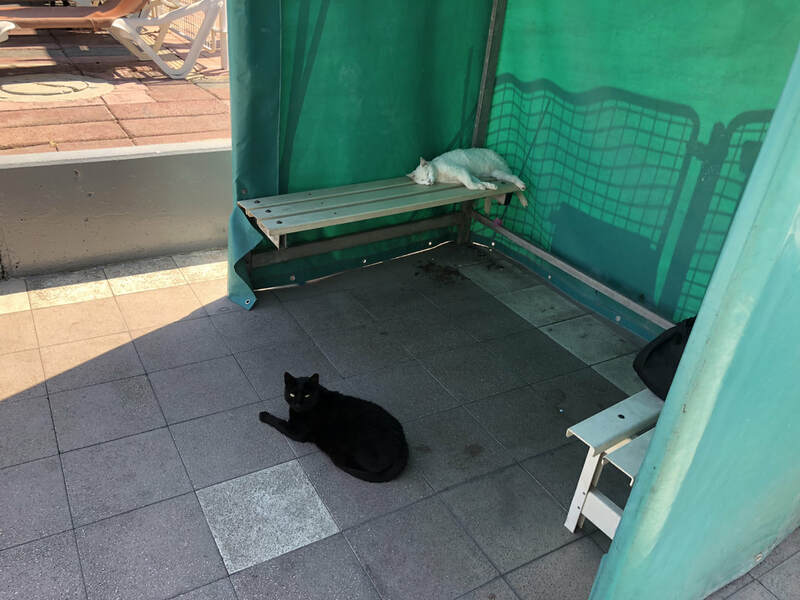 Here are our poolside cats, found at TAU's gym. Enjoying some shade as summer is approaching! The cats have names! According to a friend, the big fat gray one (we thought for awhile she might be pregnant) is Nubz. 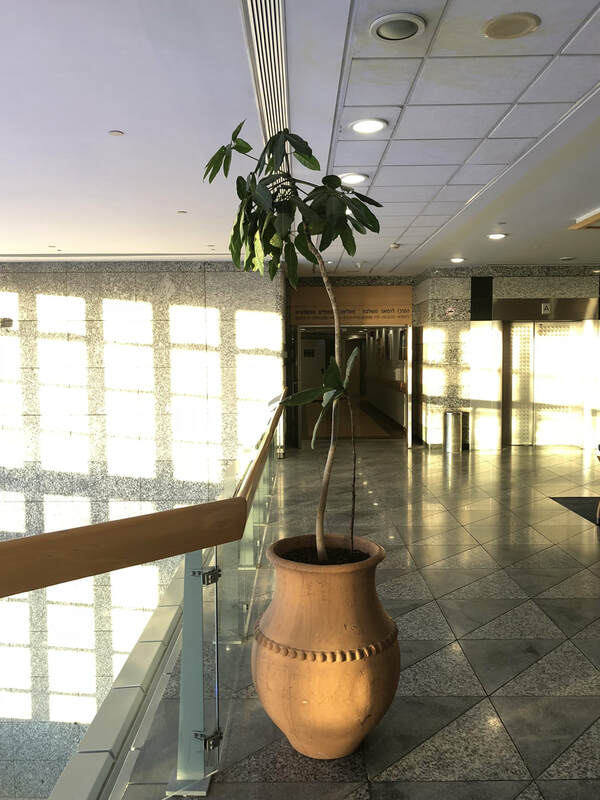 She hangs out near the entrance to the social science library. 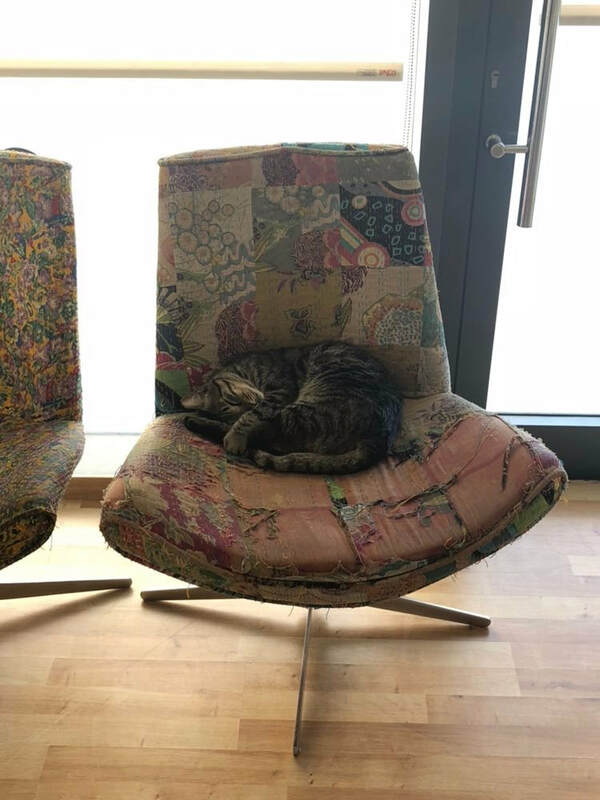 The indoor library cat is Nala. 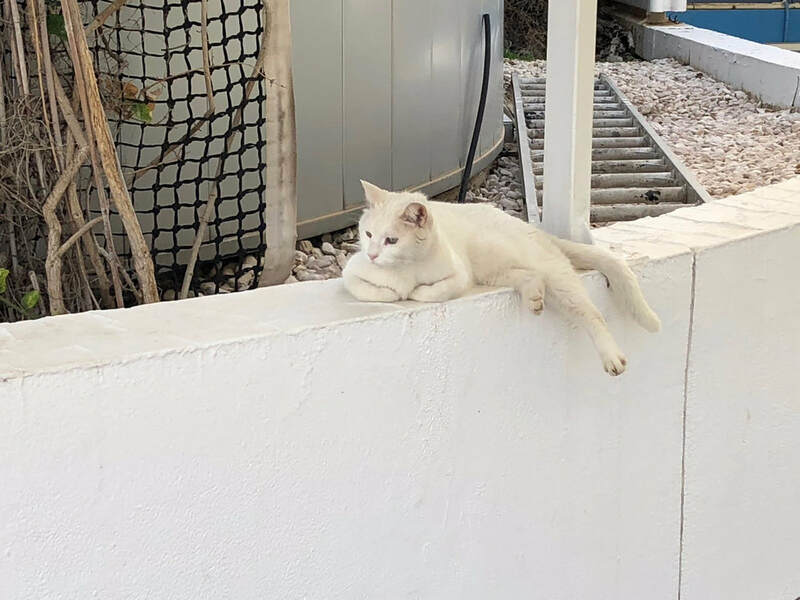 Apparently the security guard named her and says she is the only cat in Israel who drinks mineral water. Thanks for sharing Ellie! First, we stopped at Lido Junction. Prior to 1967, this land was part of Jordan's "West Bank" (and the name stuck). 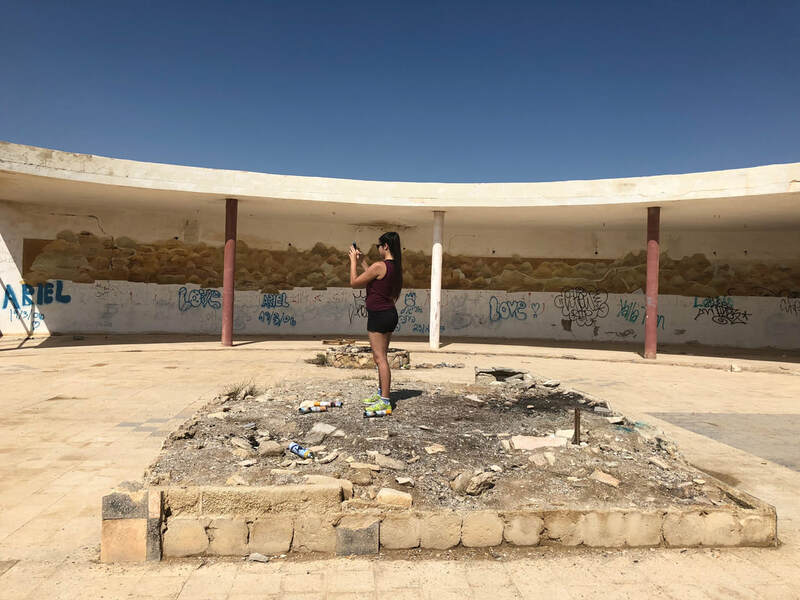 We explored the ruins of a once grand hotel. I could almost feel the happy energy of the families on vacation, hear the sounds associated with great food and conversation. This was the dining hall. If you're feeling depressed right now, don't lose hope! Our environment professor said that the Dead Sea will not dry up completely because the salt slows down evaporation. Therefore, a solution is to add even more salt to the saltiest place on Earth. ​​Thus, the Red Sea-Dead Sea project was born. This would take water from the Red Sea, desalinize it, put the salt in the Dead Sea, and give the fresh water to Jordan, which doesn't have enough water. On a practical level, the project would solve two problems at once and on a diplomatic level, this would build trust between the two governments. 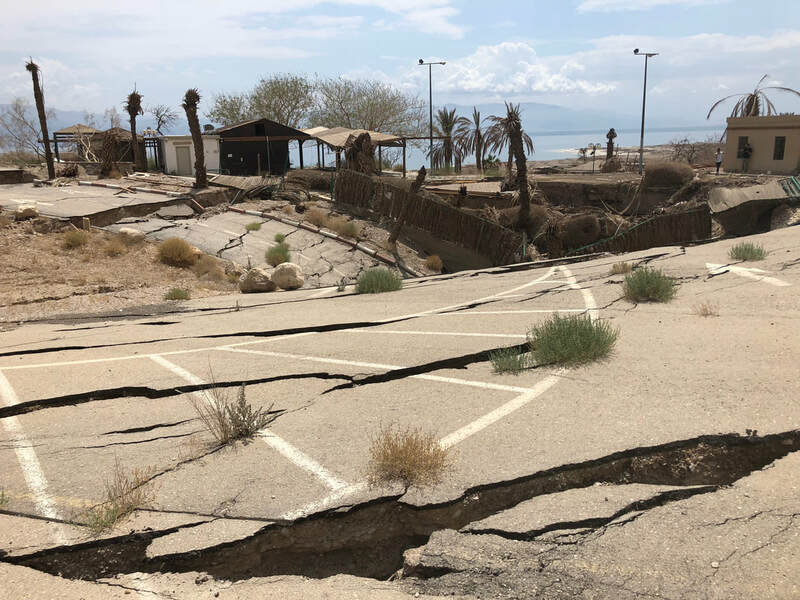 Unfortunately, the Red Sea-Dead Sea project will not happen anytime soon. 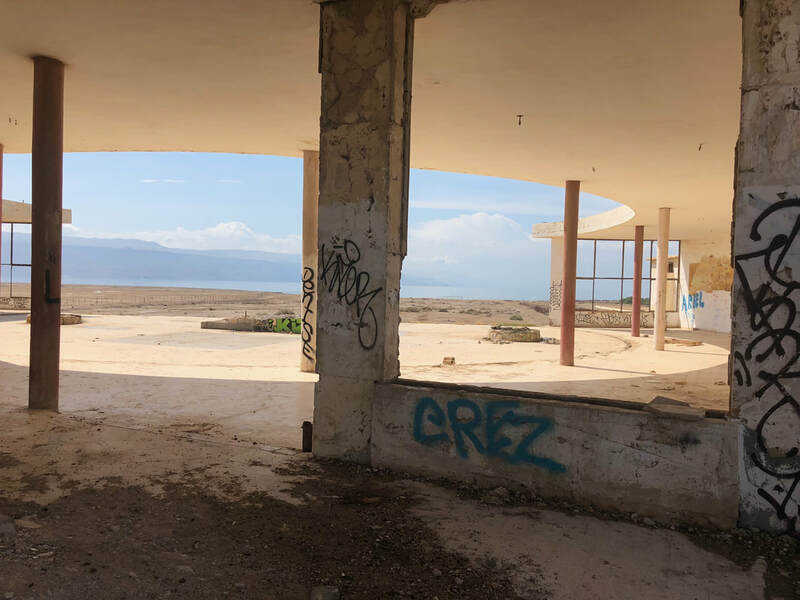 It is estimated to cost $10 billion dollars and no one is sure how adding more salt will effect the make up of the Dead Sea. 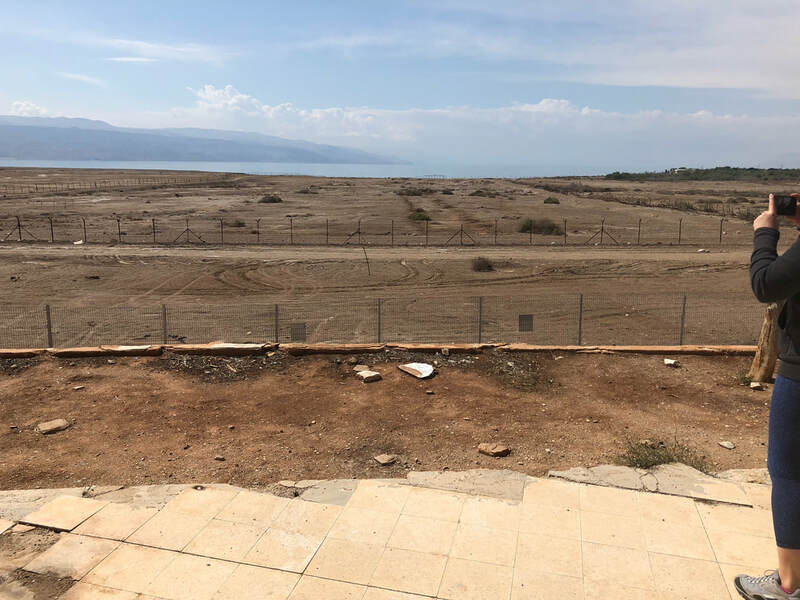 This creates hesitation from manufacturers who profit from the way the Dead Sea is now, such as Bromine deposits and other such minerals. 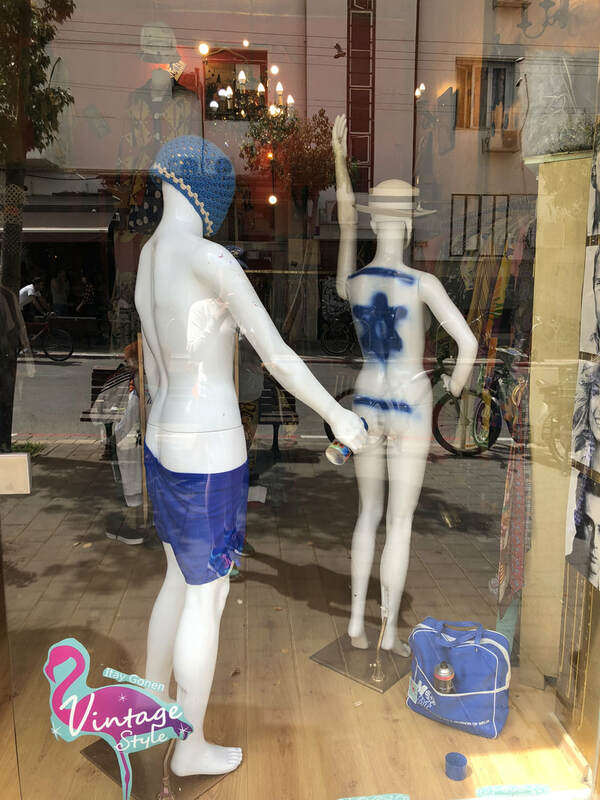 Mannequins even love the Israeli flag. 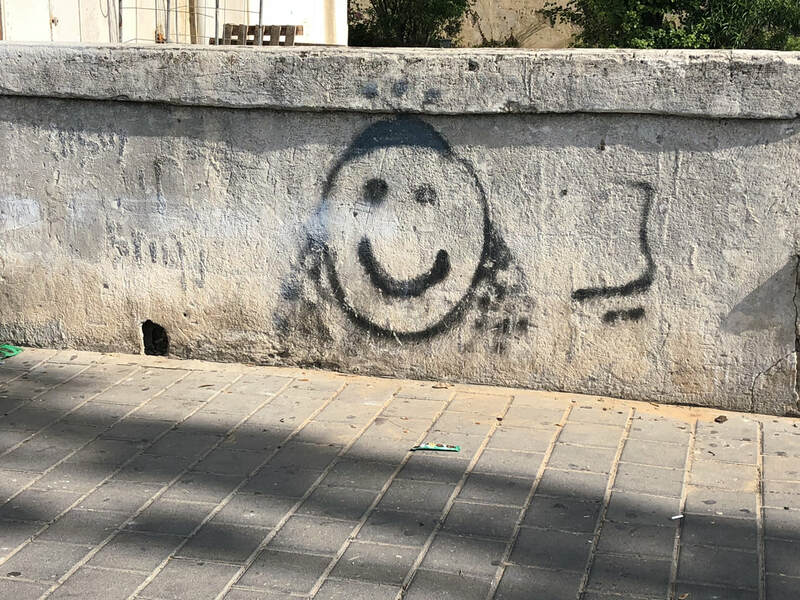 And this is Jewish graffiti I just put here for fun. 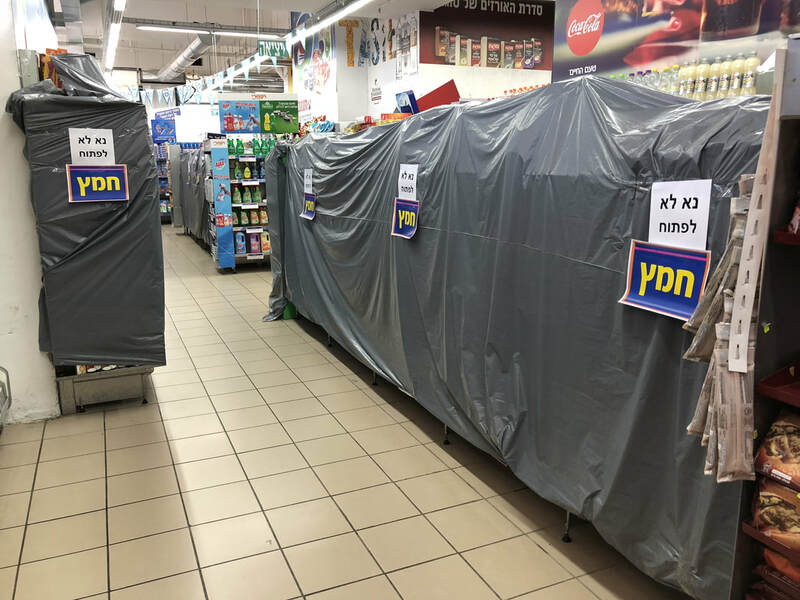 It is important to note Arab Israelis' reactions to the festivities. On Wednesday evening, I was drawn from my room by sounds akin to gunfire. Of course I knew the source: fireworks. I walked downstairs to find the sky illuminated by fireworks from four sides. 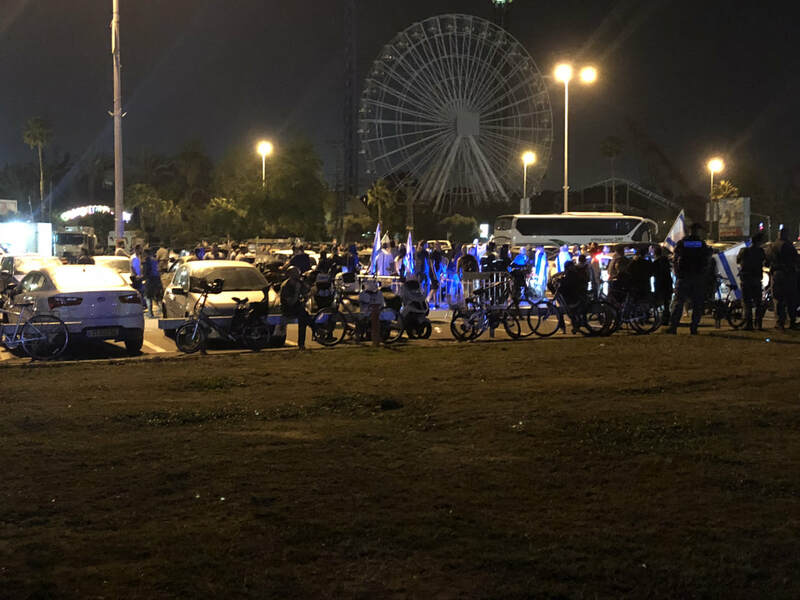 While Jewish Israelis were enjoying themselves at Rabin Square watching the fireworks, the Arab Israeli students sat strewn across the lawn in the middle of Broshim dorms, unsurprisingly left out of the celebrations. 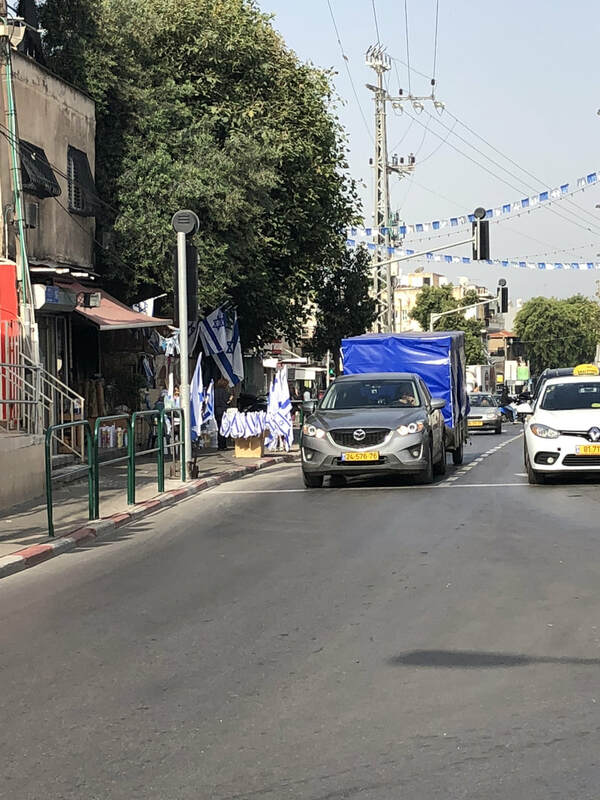 For, unlike Memorial Day for Fallen Soldiers, celebrating self-determination is not necessarily a holiday that Arab Israelis can relate to, except those who support Israel. 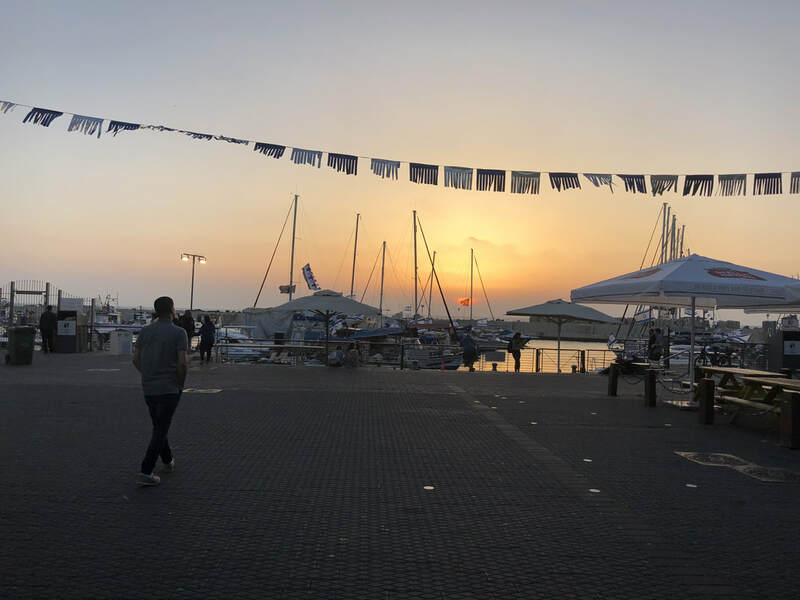 A friend went to her family friend's party in Ashkelon and they were joined by Arab Israeli families. Therefore, sentiments towards the holiday depend from person to person. 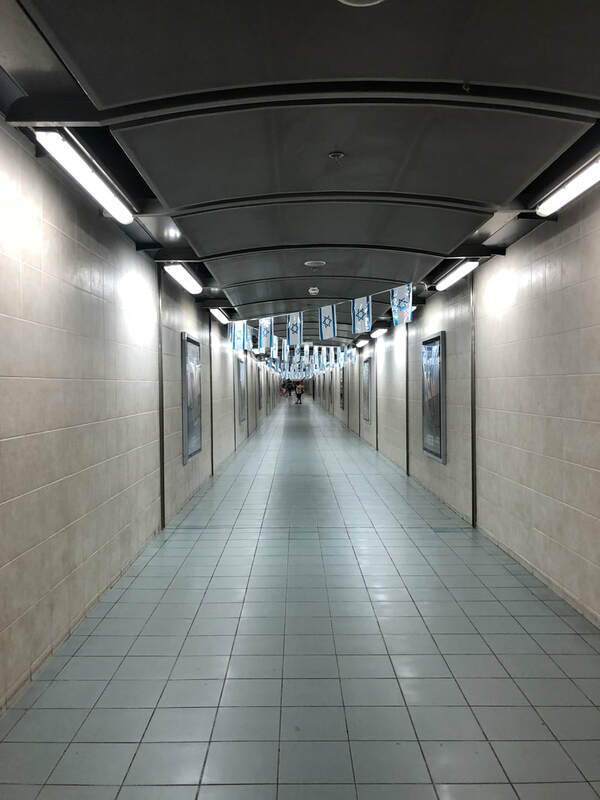 No matter what, these two days: Yom HaZikaron and Yom Ha'Atzmaut are complicated times. This past Tuesday marked the beginning of Israel's Memorial Day. It started with a somber siren at 8pm. Every single person stops wherever they are for a moment of introspection. Even drivers on the road will stop their cars, get out, and stand for the minute. Yom HaZikaron offers an opportunity to witness the existential fear embedded in every Israeli (and Palestinian). I've heard that every Israeli knows at least one person who has died in the Israeli-Palestinian conflict. For this reason, I was told by an Israeli friend that all of Wednesday most people sit at home and watch public broadcasting. A few who can muster it go to cemeteries to mourn their loved ones. For those not as effected by the day, there is plenty to do. On Tuesday night, the official ceremony is held at the Kotel. 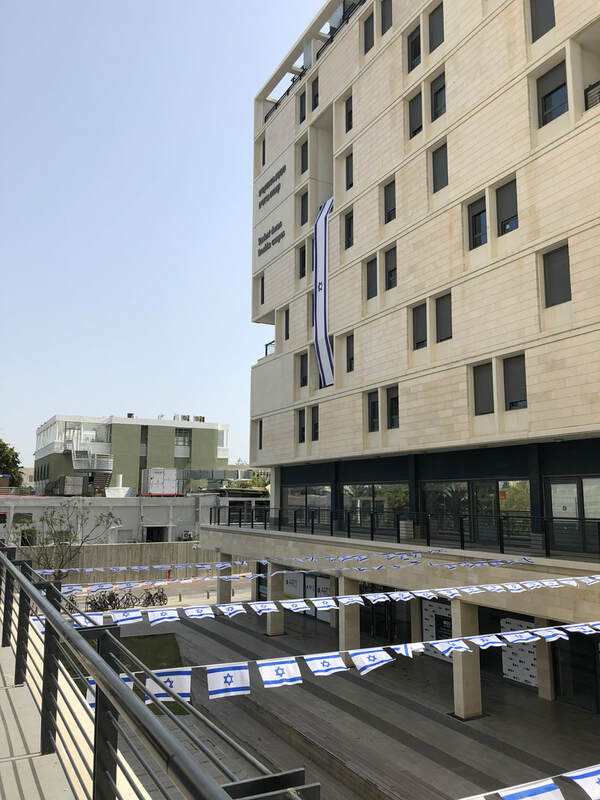 Tel Aviv University's International department also held a ceremony that involved music and singing. 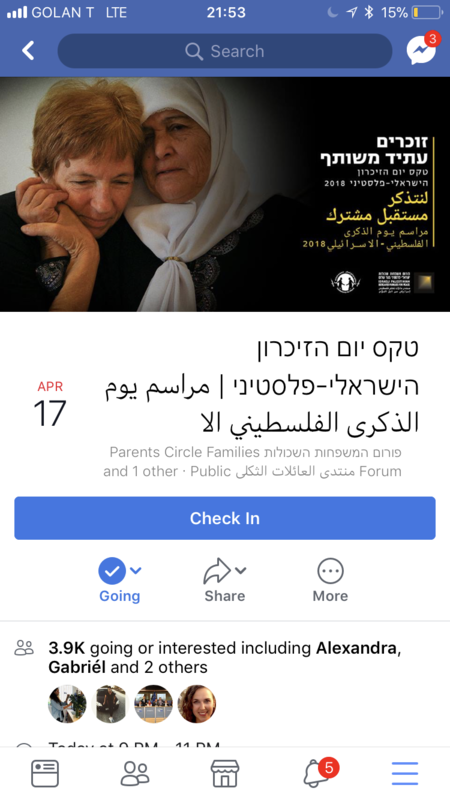 I myself went to "Remember a Common Future," an Israeli and Palestinian memorial ceremony jointly held by Combatants for Peace and Parents Circle. Unsurprisingly, they had trouble finding a venue that would hold this controversial event, so it was in the park. As I approached, I heard a rumble of loud voices and flags of Israel waving erratically in the distance. An eery tension was palpable in the air. I was late to the event, yet joined by a couple of other stragglers making their way to the sign that read "כניסה." Though I had friends already there, I decided to make the journey alone as I find emotional events easier to process alone. Electric candles lined the path from the entrance to the crowd. I joined the thousand plus other people standing before the stage. The speeches were alternating between Hebrew and Arabic, with subtitles in Arabic, Hebrew, and English. Music was played and stories of loss were told from both Arab and Jewish communities. Halfway through, a couple of my friends walked by. They said it was too much for them and they were leaving. I left shortly after and, as I headed away from the event, the shouts of the protestors grew louder. They had moved from the grass lawn to the parking lot. I stood there staring at them, contemplating the contrast between ways of coping with loss. Over there, a poignant showcase of people who choose to forgive and forge connections with "the enemy." Over here, a group so overcome with anger that they decry any gestures of togetherness. As I walked towards home, I felt two strong sentiments. First, conflict is tiring. It was for my Israeli friends who left the event early, doubly affected by the effusive speeches from "the enemy" and the derisive words from the protestors. It was for me as I grappled to see both points of views. Second, I felt a sense of hope. I'm not sure how many actually showed up, but 3,900 people said they were interested or going to this event. There were no more than 20 protestors. Maybe like me and like my friends people are getting tired of the Israeli-Palestinian conflict and recognize it is time to move in a new direction. The tone of the siren shakes me to my core. It eerily embodies the bleakness that covered so much of the world in the 1930's and 40's. After the siren ceased, my teacher revealed that her mother - who had passed away only 2 weeks prior - was a Holocaust survivor. I realized that most elderly citizens of Israel are probably Holocaust survivors. That evening, I went to a Holocaust Survivor testimonial set up by Tel Aviv University's student union. Shoshana is an energetic woman in her 80's. Originally from Vienna, Shoshana fled to Holland at the age of 4 with her mother. Her father had already been put in a concentration camp. Shoshana describes herself as one of the lucky ones as it was hard to get citizenship in another country; she was only able to go to Holland because she had family who had lived in Holland for many years. Even so, Shoshana and her family were sent to the Dutch colony in Indonesia and quickly put into a concentration camp. Though miraculously they were joined by Shoshana's father, conditions were far from pleasant. There was rarely enough food to eat as Jews were fed last among all the prisoners in the camps. They were also moved from concentration camp to concentration camp regularly. Still, Shoshana's mother had hope for her future. She would often trade a piece of bread for another prisoner to teach Shoshana English. When WWII ended, Shoshana and her family were still not released from the concentration camp as many local revolutionaries were killing Jews. They eventually made it back to Holland where Shoshana carried out her studies and raised her family. She only found out later that the Japanese, who were in charge of the concentration camp at the end of WWII, were about to kill all the Jews before the US dropped a nuclear bomb, which ended the war. Therefore, Shoshana concluded that Hiroshima saved her life, a morbid paradox. I had no idea that the anti-semitism rampant in Europe at this time extended all the way to Asia as well. I knew that there were concentration camps for Indonesians in the Dutch colonies, but had no idea that Jews joined them. In general, there is much talk about the Holocaust's effects in Eastern Europe, but almost none about Jews' experiences in the rest of the world at that time. I was grateful Shoshana took the time to share her story, especially since she said other survivors do not talk about it. Her parents never talked about it after the end of WWII. Shoshana never told her children about it. Similarly, most of her neighbors at the senior living facility refuse to talk about their experiences in the Holocaust. Maybe it's because it's too painful. Maybe they think no one is interested. I am certainly grateful for women like Shoshana who educate us about what it was really like during those dark times so that we can make sure it never happens again. Chag sameach everyone! It is Passover and I had the privilege of spending the opening dinner with my newly discovered cousin and her family who live in Jerusalem. I spent the weekend there and realized that Israel takes the holiday very seriously. They don't even allow you to be tempted to buy bread. 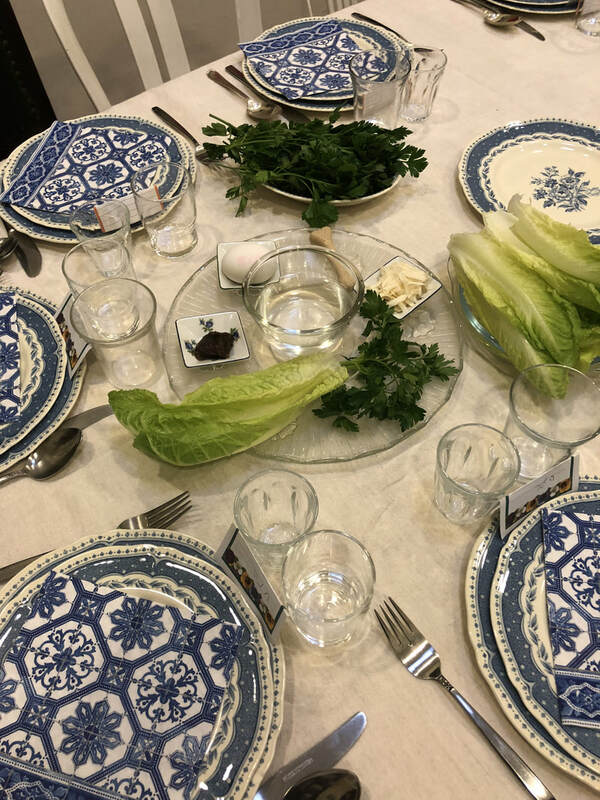 ​Our Passover plate had the charoset, karpas dipped in salt water, chazeret, maror, egg, and lamb shank (a plastic one in honor of the vegans at the table). 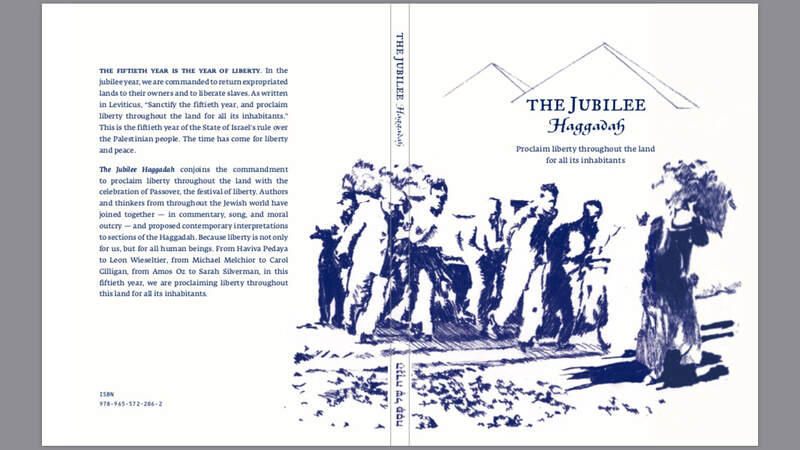 We read the Haggadah led by an elderly man whose wife narrowly escaped Nazi capture in Europe when she was a little girl. ​It was a touching celebration of the Jewish people. Who would have imagined when the Jews were freed from Egypt that one day a flourishing Israel would exist. ​I felt grateful to spend this time in arguably the holiest city in the world. I had a unique Passover for another reason. While in Jerusalem, I met up with a Palestinian friend who works for UNICEF in a Palestinian refugee camp. 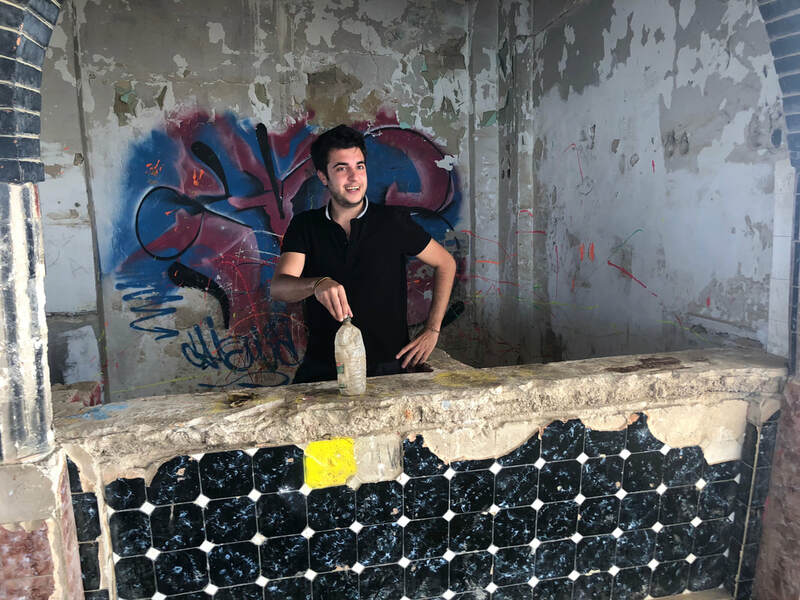 He is currently working on projects at the girls' school. He told me the camp is under Jerusalem municipality, which means Palestinians pay taxes to Israel in exchange for updating infrastructure. 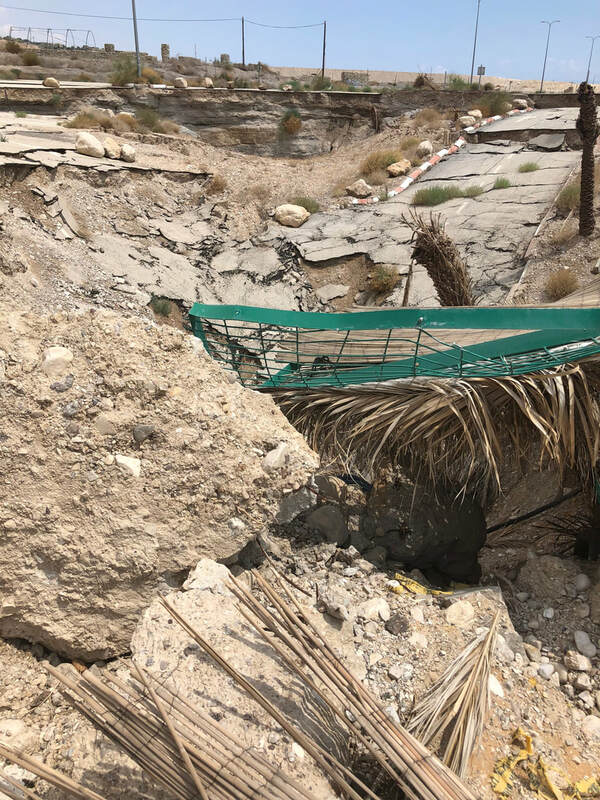 However, the Israeli government does not fix the roads. Instead, the community raises money to fill sink holes and must do it in secret. The Palestinians must get Israeli approval to build anything, but it is practically impossible to get approval. At the girls' school, since they are not permitted to build another story onto the building, they created an outdoor sustainable garden. Just last week, Israeli snipers shot at anyone who was constructing the garden from a nearby abandoned building. Whereas my Palestinian friend has a permit to work and even live in Jerusalem, he cannot drive his car there because he is not an Israeli citizen. Hearing about how the Israeli government treats Palestinians made me realize that the Jewish people have come a long way since they were enslaved by Egyptians. We have power, freedom, and land as a national identity. However, in this transition, many Israelis have lost touch with their humble roots and are now acting as jail keepers themselves. 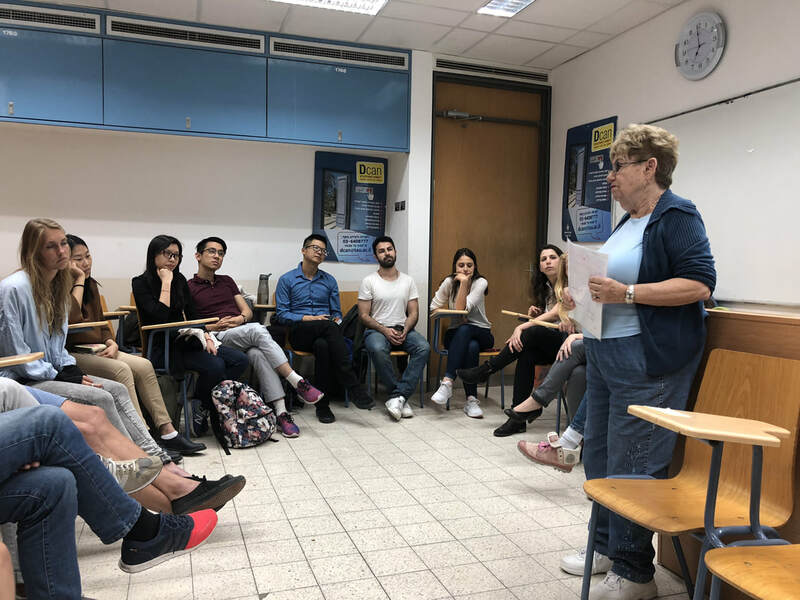 According to University of Haifa professor, As'ad Ghanem, Israel helped to establish a Palestinian governing body in the West Bank, the Palestinian National Authority (PNA), only to undermine its control. 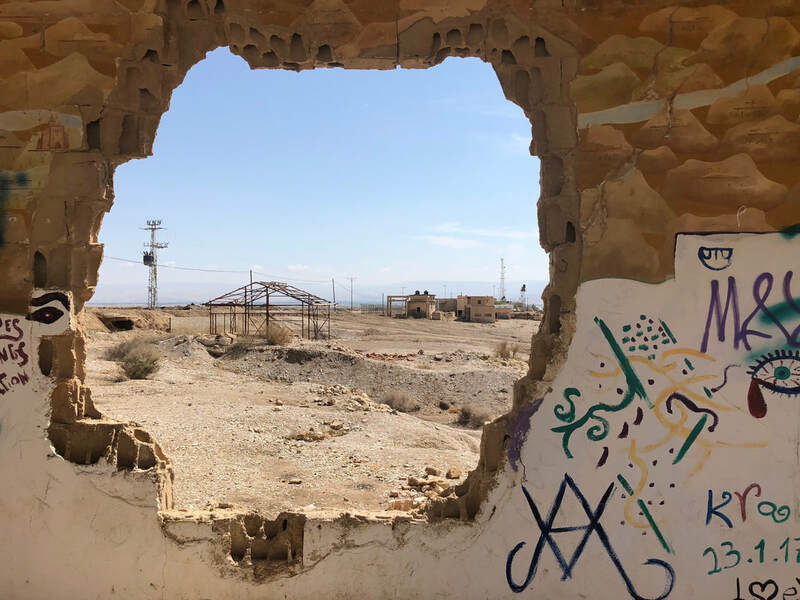 In 2002, Israel destroyed PNA security forces, obstructed Palestinian diplomatic missions abroad, hindered the delivery of social services, cut communication between leading parties, and systematically obliterated Palestinian infrastructure. As a result, the Israeli government often uses the PNA as a scapegoat for the West Bank's problems (2010). Oppression is like breaking a person's arms and telling them to swim for their life. I love that there is a Jewish state, but it is currently subjecting many people to the kinds of lives our Jewish forefathers and foremothers created Israel to escape from, which does not sit well with me. Ghanem, A. (2010). Palestinian Politics After Arafat: A failed national movement. Bloomington, IN: Indiana Univ. Press. I thought I knew what leadership was but at Masa's Leadership Summit last week, I discovered I knew very little. I found myself asking, does she facilitate well? Is she the most vocal one in the room? Does she fearlessly share her opinions? Does she successfully include everyone? Often when we look to leaders we admire, we see the end result, but we don't get to see their inner life. It is only in recognizing our own inner leadership capabilities that we can truly know what leadership is. Upon arrival, our first activity was the "Plenary" in which we all gathered in the auditorium. Ben, the program director, welcomed us and proceeded to ask us a vague question. There was silence because no one understood it. Ben then sat down on the stage and looked at us expectantly. After awhile, people began talking amongst themselves. It started hesitantly and then people became louder and louder until the entire auditorium was filled with people talking about how confused they were. Some people tried to unite the group through music. One guy stood up and sang "We Are the World." Another started clapping and shouting "we will, we will rock you." Whereas the people in close proximity to the brave ones joined in, those in the periphery remained out of sync with the rest of the group. Our next activity was "Home Group." These were 6 groups of 25 delegates and 1 facilitator. When we all sat down in a circle, we looked to our facilitator, Jason, for guidance and, again, he asked us a vague question and was silent. People in my group became very frustrated. Over the course of the next few days, many people stopped showing up because they didn't like the lack of direction. However, I found the social experiment fascinating. Over the 5 days, we were forced to figure out what to do as a group in the absence of leadership. Moreover, we were encouraged to introspectively recognize our own roles and leadership styles in the group. I have always wondered whether I am leader material since I feel more comfortable listening than talking. In class discussions, it's usually the loudest and most opinionated voices that get heard. Moreover, in general I am careful about what I say because I try hard not to offend others. I also experience fear before I speak that what I say or do will not be accepted by the group, that it will be for nothing, or worse, people will think it's stupid. Lastly, when I do have a useful comment or question, it often goes unsaid because I either do not want to disrupt the flow of the conversation or I worry I will be perceived in an unfavorable way. The conference addressed each of these concerns in various circumstances. I had an amazing conversation with one of my colleagues in the home group. It is clear he is not afraid to talk in public and deemed himself the "most vocal one in the group." I should note that that was not my perception at all. His contributions were always insightful and never seemed excessive. I've always admired people like him because they seem so confident. However, he said that he is self-conscious every time he speaks because he fears that others are thinking that he talks too much. We also described differences in our upbringing. In my family, I'm an only child and it is taboo in our household to interrupt or speak over each other in conversations. However, he is the youngest child of a large family and he grew up feeling like he had to speak loudly and often in order to be noticed. This conversation made me realize that many people (and perhaps everyone) have anxiety about speaking to a room full of people. Furthermore, maybe the right answer isn't in talking the most, but finding a balance between listening and speaking. Another topic we were exposed to is "interventions." These occur when you step in to change the direction of something. Some situations that I experienced interventions in were conversations, group discussions, and parties, but I'm sure they can be integrated on a much broader level. In group discussions, say the debate is veering off topic. You could say, "hey maybe we should get back on topic," which would be an intervention. This action might not be accepted by everyone. Maybe the conversation will even get off topic again. You have the choice to keep intervening or do nothing. The fear for me in intervening is that my idea will not get picked up. It can feel like a rejection. However, in one of the Plenaries, Ben said that sometimes you say or do something and it seems to have no effect, but maybe at least one person heard you. That is true for Ben's comment; I heard him and it's an idea that will stick with me. I experienced the other side of this during the Summit. I was talking with a peer in my Home Group and he mentioned that he was having a frustrating time figuring out his next steps. I painted him an image that always helps me: sometimes we try so hard to punch through the brick wall in front of us that we don't realize we can just walk around it. He didn't respond and I got the feeling that he wanted to change the subject. However, the next day in Home Group, he mentioned a similar metaphor to the class. It's possible that he had heard it before, but I'd like to think that I was the one who planted its seed. Sometimes interventions don't work. For instance, the night I got back from the Summit, I had dinner at my friend's apartment with two of our other friends. She cooked, so towards the end of the night I got up from our conversation and started to clean the dishes, hoping that they would join me and we could make a fun activity out of it. However, they did not and I washed all of the dishes by myself. Sometimes when you try something new, you fall flat on your face, but if the worst result is having to wash dishes, it is well worth the risk. ​Lastly, I learned that leadership is about making choices. On three of the days, we had electives in which we split up into smaller groups to get specialized training. One of the electives involved a trip to Hebron in the West Bank to speak with a Jewish settler and a Palestinian who live there. Of course, this was almost everybody's first choice, but only 25 people could go. I was one of the ones who did not make it on the list. I was heartbroken since this had been a trip I was looking forward to since I found out it was part of the leadership summit. So many questions ran through my mind: Why was I not on the list? Did I do something wrong? Is it because I was not talking enough? I decided to focus on next steps. 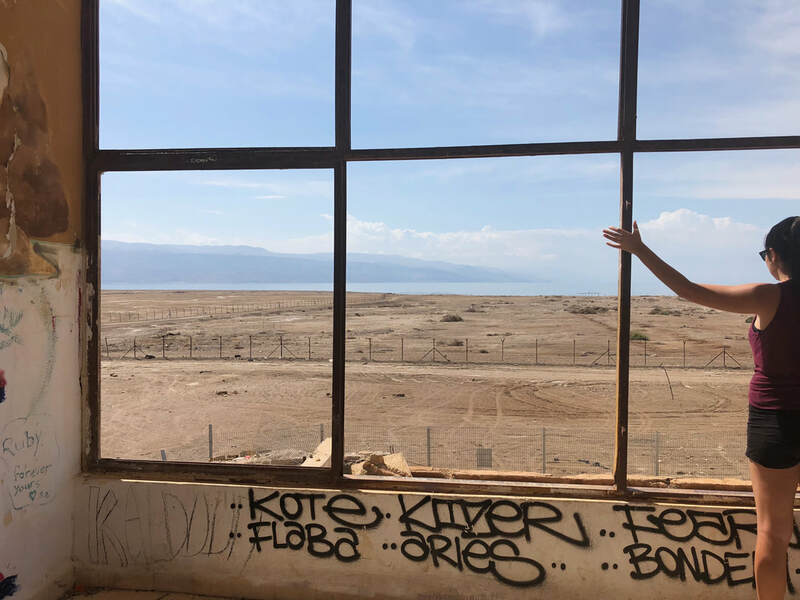 I saw two options: I could decide to go with the flow and accept this other trip I was assigned to or I could be assertive by asking to go on the Hebron trip. 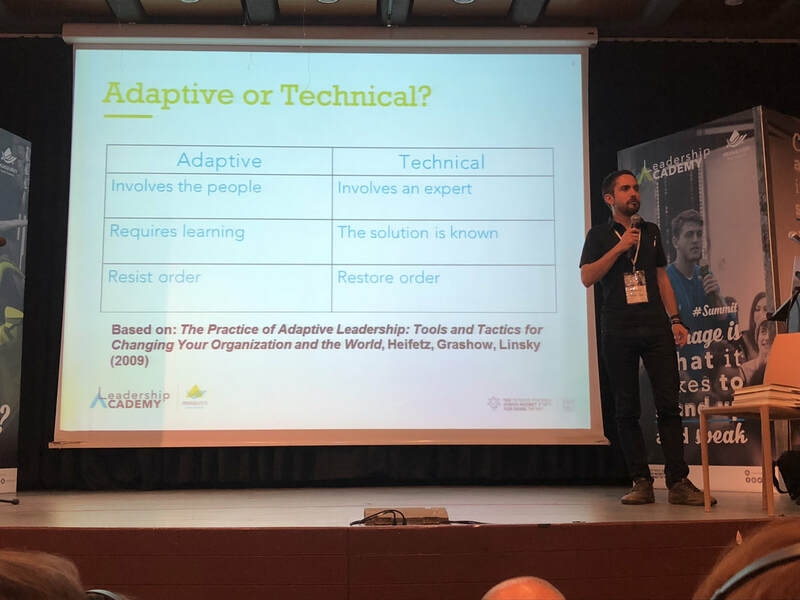 At the time, I tied these two choices to leadership and asked myself which was a better quality to have. I decided to go for assertiveness because you never know until you try. I asked Ben and he said there were no more spots, so that was that. A greater lesson I gained from this dilemma is that it doesn't really matter which one you choose. Maybe there are some situations in which it is better to be assertive and maybe there are others in which it behooves you to go with the flow. It's about knowing when to use them that matters. This helped answer the questions I formed at the beginning and the ambiguous response is "it depends." It can be an advantage to listen rather than talk because you can make everyone feel heard and appreciated. However, there are other times when it is necessary to voice your opinions. Similarly, sometimes it is best to let things go, but other times you can use negative events to create ideas that spur you to take action. I want to talk about something I've never discussed before: my Jewish identity. I never felt like I had a Jewish identity growing up. My Mom is the Jewish one (my Dad is Christian) and, whereas I was very much aware that I was "Jewish" and we practiced some of the traditions, such as Hanukkah, I never understood what being Jewish meant. None of my friends were Jewish and we weren't part of the community, so it wasn't a cultural identity for me. Additionally, the first time I had ever been to a synagogue was for a classmate's Bar Mitzvah when I was 12 years old, so it wasn't a religious identity either. That leaves ethnic identity. My Mom spoke regularly about the anti-semitism she experienced growing up. I also knew that there was a Jewish state and that her mother lived there. Therefore, Jewishness felt more like an ethnic identity, but one that was very much integrated into Western Christian culture. I never felt uniquely Jewish; I felt like a quintessential American with a melting pot of different ethnic roots. It wasn't until I went to college that I became more curious about my Jewishness. My roommate was the first practicing Jew I met. She had a Bot Mitzvah and went to Hillel. She told me about Birthright. A free trip to Israel, I thought. Is this meant for me? I was so nervous for my phone interview. I was convinced that they would say I'm not Jewish enough. However, that wasn't the case: I was placed on a trip with Israel Outdoors in December 2016. I was happily surprised that many on my trip felt the same way I did. There were others that had one Jewish and one Christian parent. There were also many that grew up in secular, non-traditional households. Relief washed over me that I was not considered an imposter and I felt free to explore this new side of me. Birthright was the first time I celebrated Shabbat. As an excuse to put technology away and enjoy conversation with friends, it became my favorite tradition. I continued Shabbat dinners with my new Jewish community of fellow Birthright alumni when I returned to Los Angeles. What really struck me was how welcomed I felt by Israel and by the Jewish community in LA just because I had one Jewish parent. 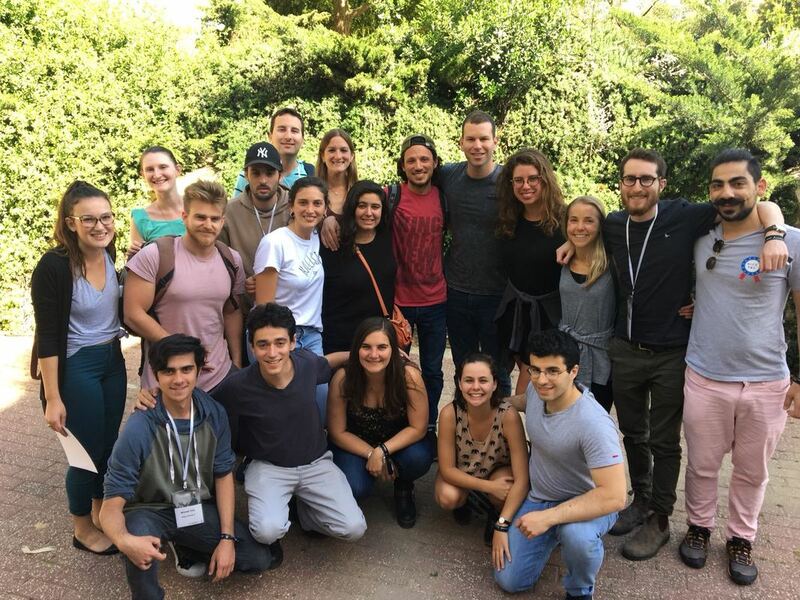 Although I still didn't know what my Jewish identity was, the warm embrace from the community encouraged me to return to Israel on a Masa program. Yesterday I returned from a 5-day leadership summit through Masa. 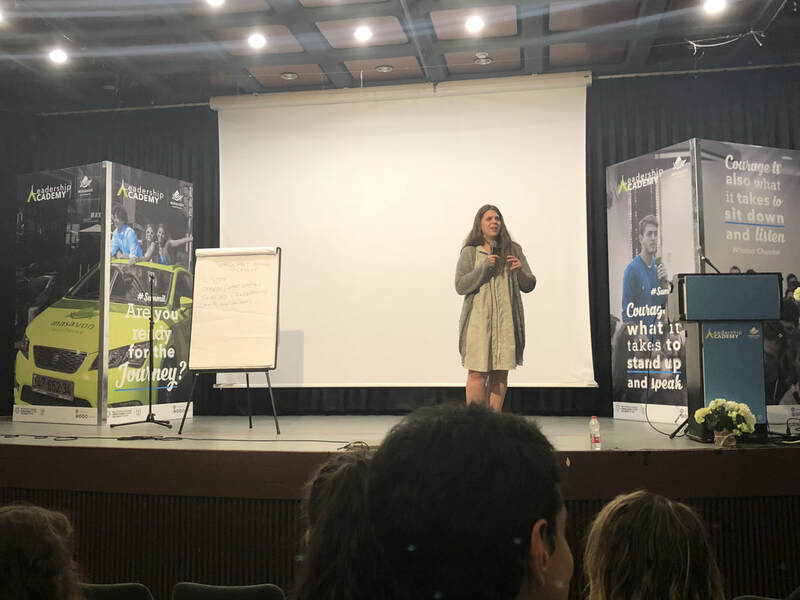 For the first time, I was in a room full of 150 Jews from around the world. Here's my "Home Group:"
On the fourth day, a discussion about Jewishness arose. 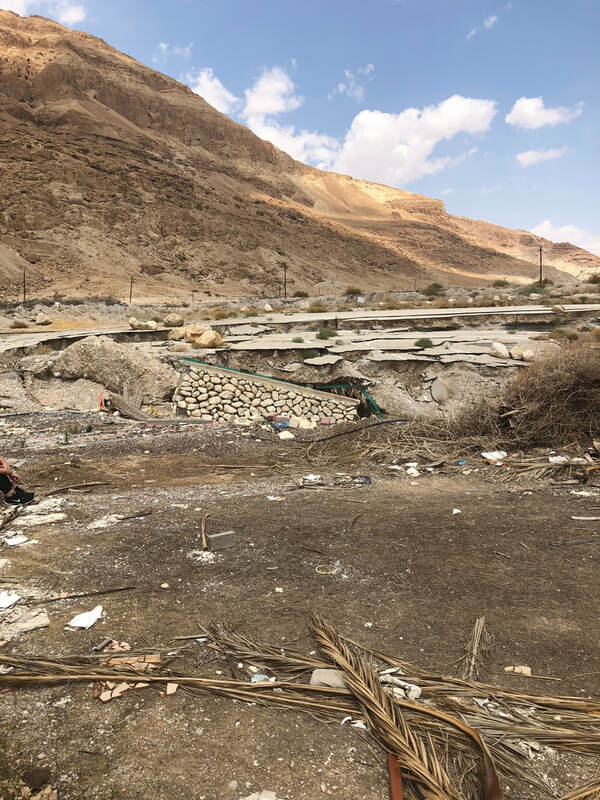 The day before, many delegates at the Summit went on trips where they spoke with Orthodox Jews in Jerusalem and settlers in Hebron with more extreme opinions of Jewishness. They heard, "you're not a real Jew if only your father is Jewish" or "you're not Jewish unless you are Orthodox and practice the most strict traditions." In addition, one of our fellow delegates mentioned that the Jewish community he grew up in believes that Jews should be a closed group that does not accept converts. These exclusions upset many of the delegates. One that hit close to home was arguments over matrilineal versus patrilineal descent. On many occasions, when I have told other Jews that my mom is Jewish and my dad is Christian, they respond, "well at least you're a real Jew because your mom is Jewish." However, there were many delegates at the conference who are much more culturally and religiously Jewish than I am, even though they are only ethnically Jewish on their dad's side. One woman expressed her frustration about this. She is Jewish only on her dad's side, so many times she has been attacked for not being a "real Jew." She felt like she had to prove her Jewishness growing up, so she immersed herself in Hillel and other Jewish organizations in college. She believes that, in order to be considered Jewish, people should have to prove themselves through equal measures. I felt instantly defensive, as if she was trying to take my Jewishness away from me. Because I was not apart of the Jewish community growing up, does that make me unworthy of being Jewish? I have come to cherish the Jewish community and traditions I have developed over the last year. That is when I realized that I now have a Jewish identity, and it is expanding with each new experience. It is clear that every person has their own idea of what it means to be Jewish. I'm still figuring that out for myself, but I know my Jewish identity is not one of exclusion. I want to see a Jewish community that makes all feel as welcome as I have felt. I am grateful to Birthright and Masa for setting this precedent of inclusion. What do you mean there's no co-pay? My good friend in Israel had appendicitis this week. Luckily, she caught it early and had surgery to remove her appendix Friday evening. She's recovering quickly. We joke that, if it had to happen, it's a good thing she had appendicitis in Israel where health expenses are free (she's from the US like me). I've gotta say, I love living in Israel because of its health insurance. When I lived in the US, I was lucky that I could be covered under my dad's health insurance. However, I would drag my feet every time I needed to see the doctor because the co-pay was $40 per visit. I turn 26 this year and I am dreading returning to the states and having to find my own health insurance because it will cost hundreds of dollars a month and I will still have to pay a co-pay. It's not like this in every country. 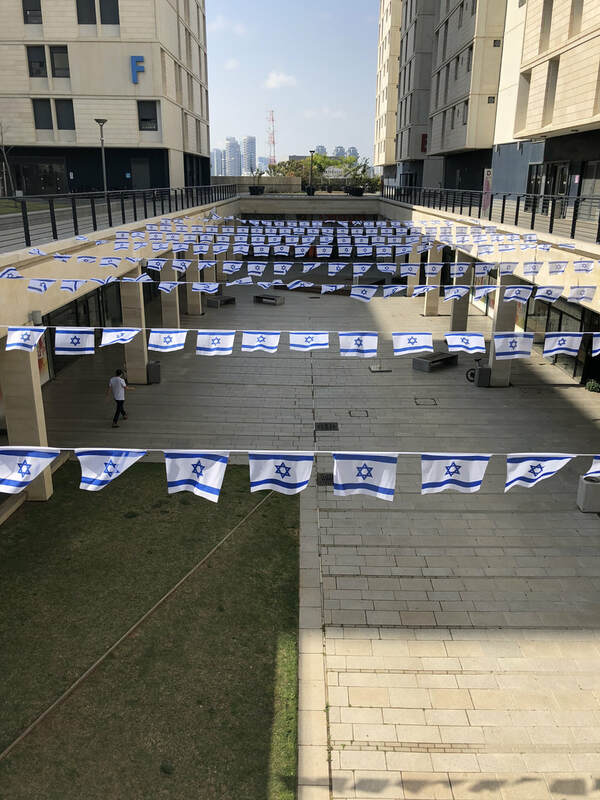 All international students at Tel Aviv University are covered under Clalit, one of the largest insurance companies in Israel, When I was looking into making a doctor's appointment in Israel for the first time, I approached a friend from Switzerland who had a lot of experience with the Israeli health care system. I asked whether there was a co-pay. She tilted her head to the side and replied, "What's a co-pay?" I had to laugh because many people from "welfare states" do not know the struggle of co-pays. You see the doctor and then you have to worry whether you paid or not. If you don't for some reason, you get a bill in the mail. When I went to the emergency room in the States, my co-pay was $150, but my friend with appendicitis paid nothing. There are several complaints I've heard about "universal health insurance." First, it is nearly impossible to get an appointment. I have not had that problem. I've now seen a doctor twice here, which were both same day appointments, and have dermatology and eye doctor appointments scheduled. I have had to schedule non-emergency dermatology and dentist appointments a couple months out, but that is normal in the US as well. An additional concern with universal healthcare is that hospitals are overcrowded and there are long wait times. When I picked my friend up from Ichilov Hospital, it was pretty vacant. 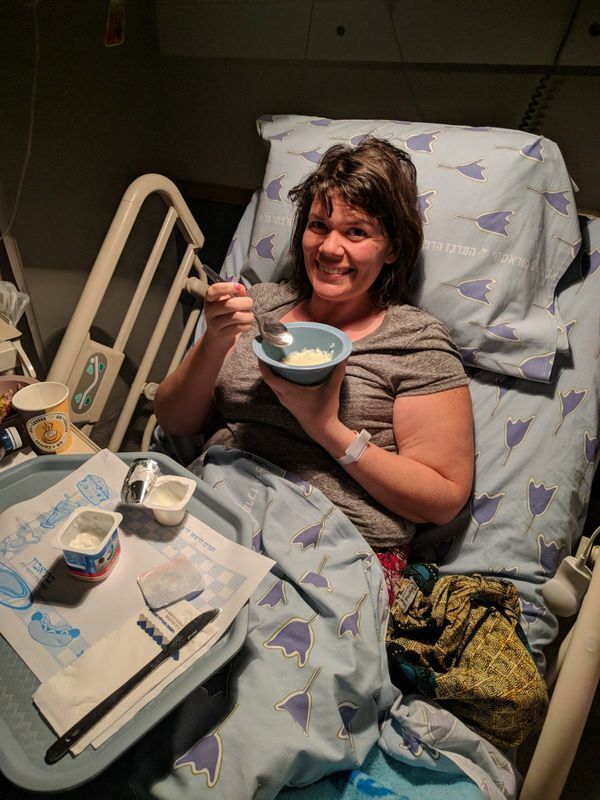 Other fun things to note: the hospital food was delicious. For lunch, my friend had beets with carrots, peas, and rice. For dinner, she had an array of cucumber and tomato salad, labne, yogurt, pasta, and soup. Every medical personnel I have come across has spoken English (although I've heard this isn't always the case when doing blood work). My friend's nurse at the hospital spoke English, Hebrew, and Russian. I speak English, my sick friend is fluent in Hebrew, and our other friend speaks Russian, so we took turns speaking with the nurse in different languages. It felt like a truly multi-cultural experience. Lastly, check out this beautiful view! 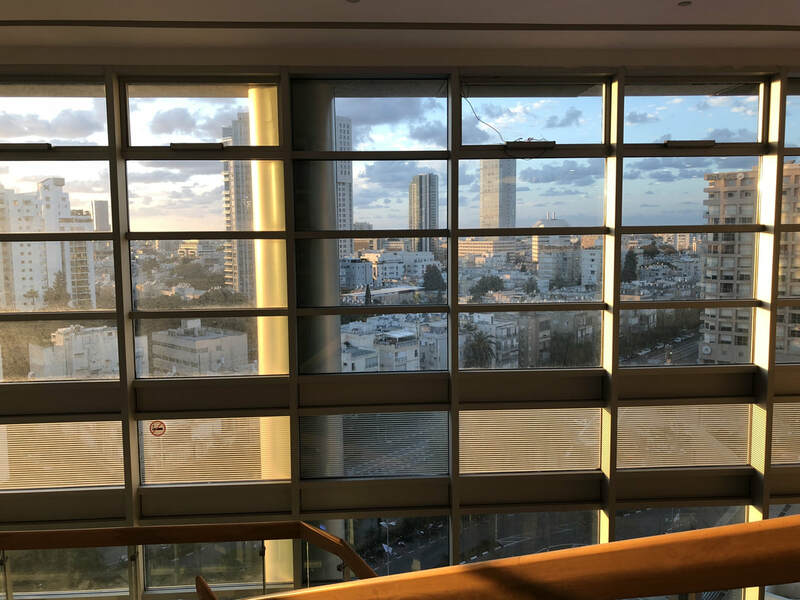 I've had a great experience with the healthcare system in Israel thus far. I hope I don't end up in the hospital, but if I do, I feel assured that I will be in good hands. If you'd like to get notifications when I create a new blog post, please enter your email below. Your email will be used for this purpose alone; I don't like spam either.